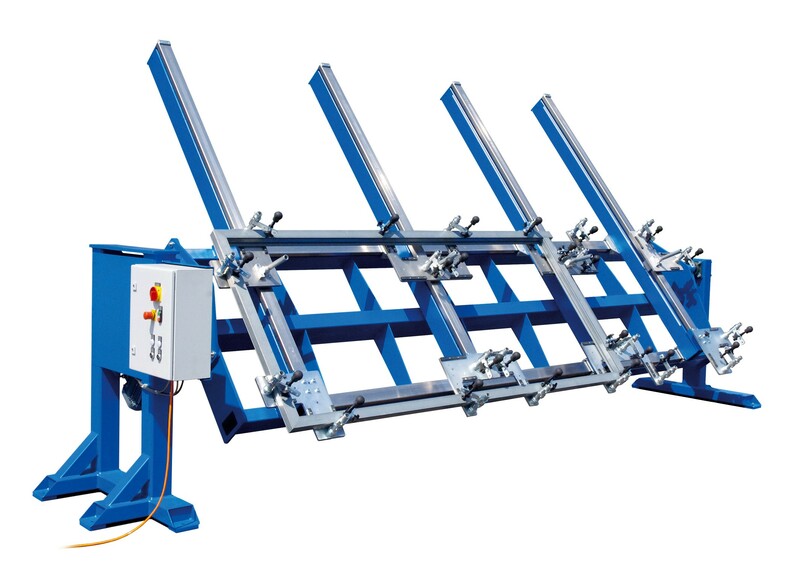 Forster America frame welding fixtures offer fast and easy adjustments for welding on all sides of rectangular frames. 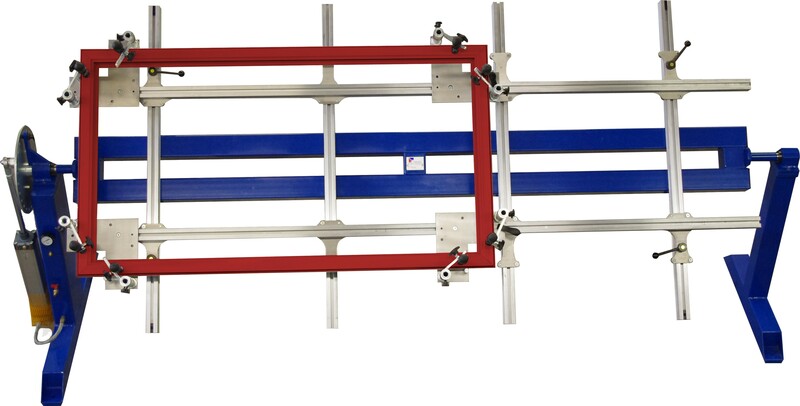 The frame railing fixture exposes the angles on the upper and lower side of the frame are exposed for welding operations. 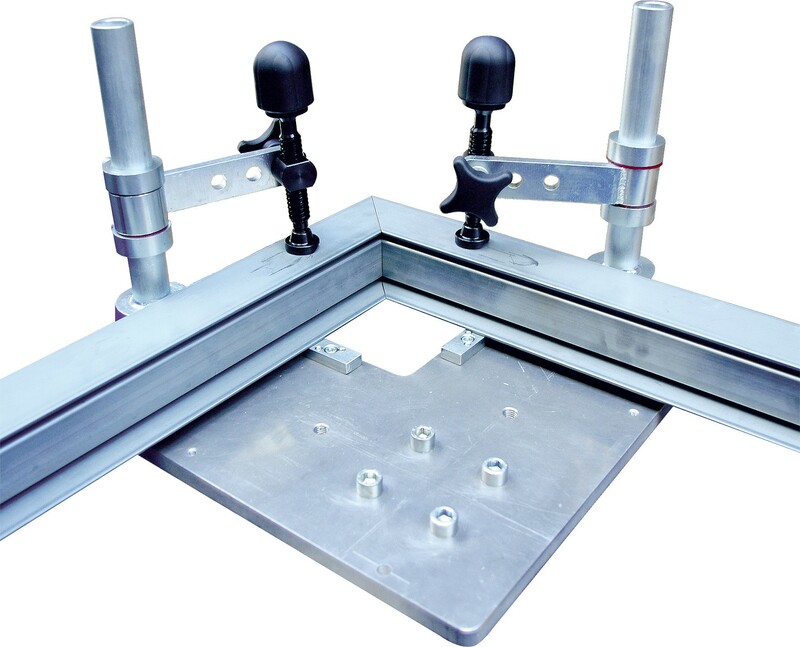 Mechanical clamping elements, with spindle-compression, are located in close proximity to the weld joint, allowing irregularities in the joint to be sensitively compensated. The clamping corner on the left target forms the 0-point of the x- and y-axis. 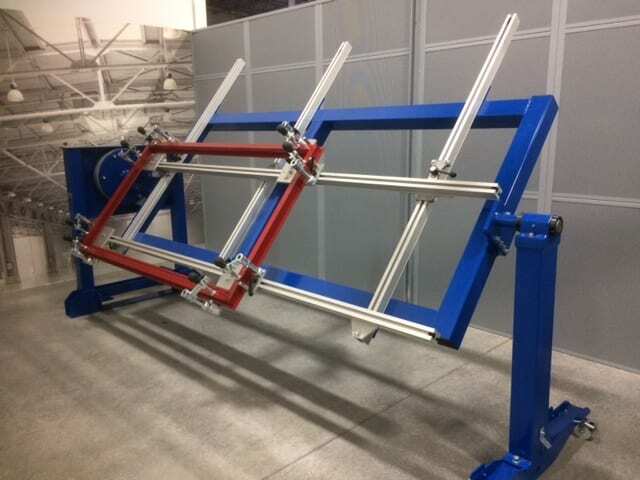 The Frame Welding Fixtures can be swiveled about 225° to 360°, depending on the size of your components to allow the frames to be welded overleaf.